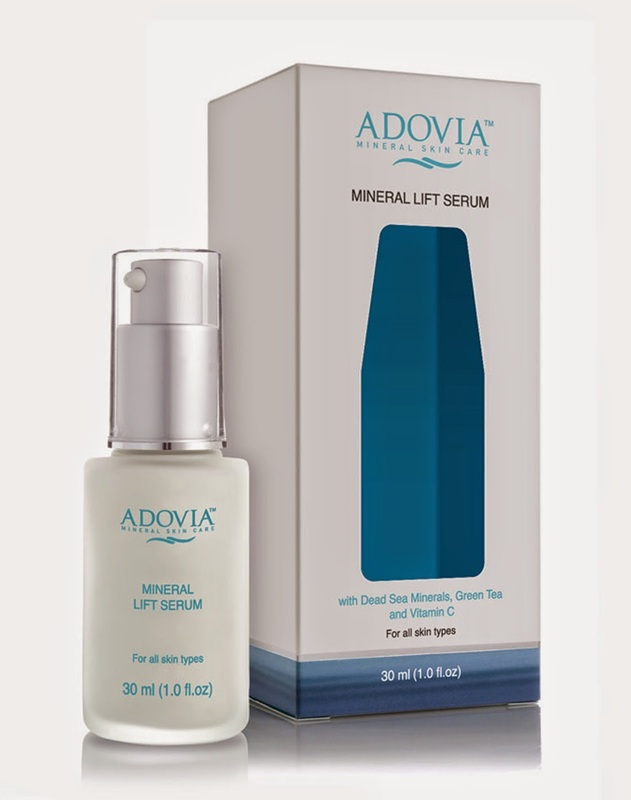 Everything Beauty and Beyond was given the opportunity to review Adovia's Mineral Lift Serum. I really found interesting the fact that this serum has 21 minerals found in the product and that it had of course dead sea components in it. The fact that it had Vitamin C infused in the product was a bonus as vitamin c is an antioxidant that works great in making the skin glow and radiant! (To read more about Vitamin C and its lovely effects, click here!) They also added evening primrose oil in the mix which has great anti-inflammatory properties and works great as an emollient. The serum comes out in a white cream type form and is non greasy which is a bonus for me since I have oily skin. I applied the serum once per day after my morning shower and it dried very fast. I never had a greasy feeling left on my face or any residue like effect. After a few weeks, my skin also feels a bit firmer and it did not leave my skin feeling greasy. 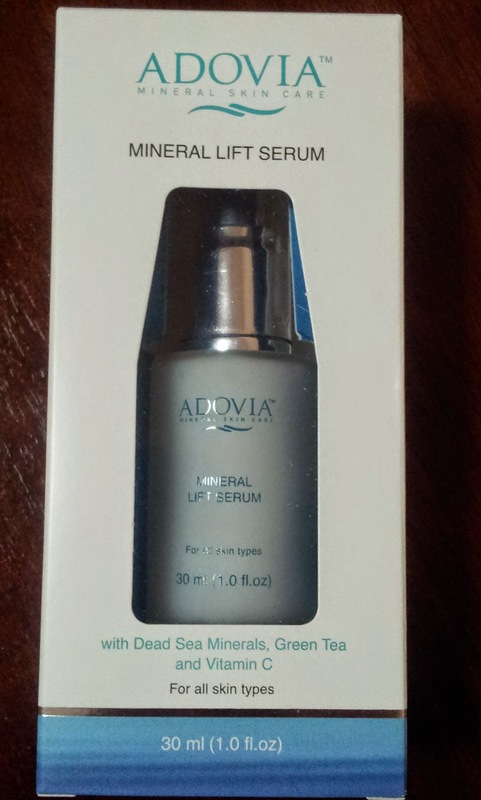 Adovia claims that it is an anti-age serum and while that may be true, I have not used it long enough to validate this claim. I should note that I am a 34-year-old Hispanic light-skinned woman without a single wrinkle who appears to be in her mid-twenties. Needless to say, I am not seeking a more youthful appearance however using products now to slow down any signs of aging (eventually) are always useful. Especially ones that are formulated well and have real ingredients to make a difference in your skincare. A lot of companies nowadays add a bunch of junk that do more harm then good. So seeing good quality products in a bottle is worth noting. However, I did have one complaint. I've been using this serum for about three weeks now and I thought I might not even get that far because about 3 days into using this product, the pump stopped working!! But like my resourceful self I unscrewed the pump so that I could wipe some of the serum onto my hand and apply it to my face. Hey I figure why let a good serum go to waste if I could pull a MacGyver here! After a few more days the pump mysteriously began working again, eureka! No longer did I need to scoop out serum Bronx style. All in all, my only complaint is the low quality of the pump. For the price, I would expect a pump that would function until the last drop has been used. However, it could also be that I received a faulty pump. I read other reviews online and didn't see anyone else having the same problem. I'm also currently using their Anti-Wrinkle Eye Cream so stay tuned for a review of that product in the future! that sounds like a product I should try. Paulette, is it available in Europe, too, as far as you know? The product is also available via Amazon in the USA. You may want to check Amazon in your respective region or see how much it would cost for Amazon to ship to you.